While the images from Chanel's F/W presentation may have look dark and gloomy as a whole, there was such immense beauty in the details. 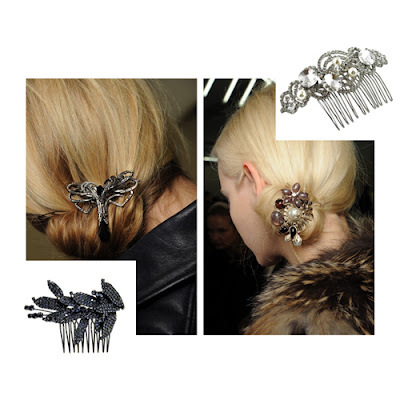 Especially the romantic way the models' hair was styled with gorgeous little pins and combs. 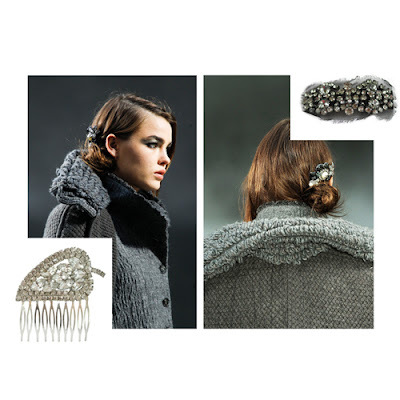 The chignon, a classic French hair hairstyle, was pulled over to one side and decorated with floral-themed hair pieces. It certainly gave us so many ideas on how to wear all our combs and pins, with both slick and messy chignons, day and evening. PS. Of course, don't forget our selection of vintage Chanel! Every single style icon has at one time or another worn Miriam Haskell. 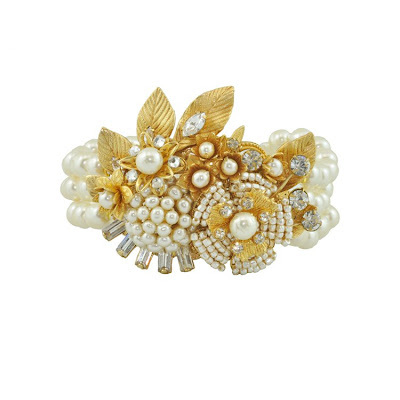 In business since 1926, this jewellery line has been a favourite of Hollywood icons, society women, and even royalty. 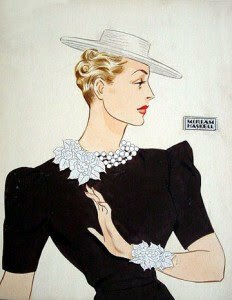 As one of the first female designers she, together with Coco Chanel, Hattie Carnegie and Schiaparelli, popularized costume jewellery, making it as covetable and chic as fine trinkets. Hollywood legend Joan Crawford and Duchess of Windsor were among her biggest fans. 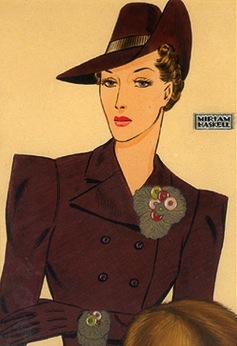 Her designs were known for their beautiful elements inspired by nature, as well as themes borrowed from exotic cultures. These elements are still the dominant theme behind the Miriam Haskell label. 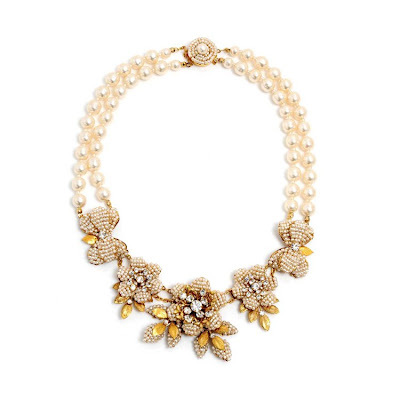 Always extremely feminine, these fine pieces are intricately crafted combinations in pearls, beads, and metals, usually featuring a leaf motif. Nowadays, her jewellery is seen on chic women like Michelle Obama, Olivia Palermo and Mila Kunis, and on high fashion runways like Marchesa. We are thrilled to be carrying this great line. And it fits with this season's focus on florals just perfectly! Lanvin is definitely one of our favourite runway collections for the fall season. 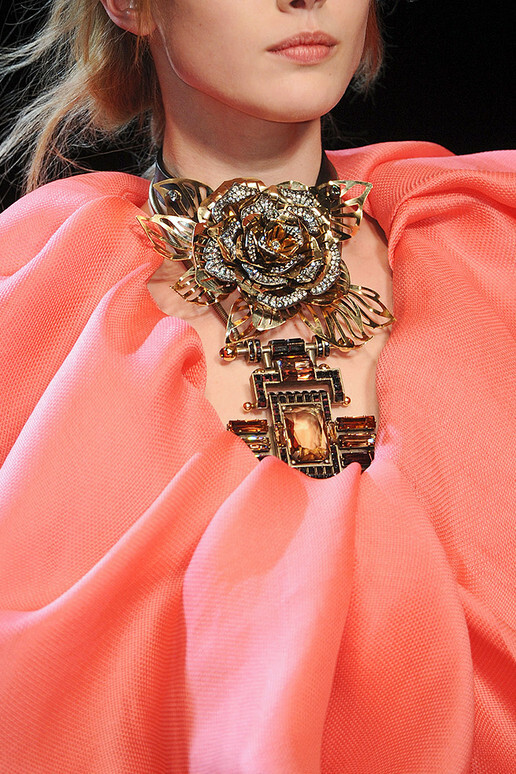 Of course, Alber Elbaz always does beautiful clothing, but this time we couldn't take our eyes off the jewels. Opulent and vintage inspired florals took centre stage against the backdrop of crisp and sculptural tailoring. Since we are always in for a little floral action, we are all over this look. The big dramatic flower is so incredibly stunning, it would look great with anything, let alone a pink Lanvin dress. And it looks so wonderfully vintage: part Victorian, part art deco. Then there are these beautiful stacked floral cuffs. Again, slightly on the antique side. 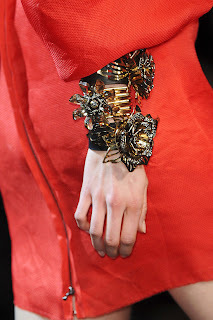 So lovely juxtaposed against the modern and sculptural red Lanvin dress. In this case, size really does matter. Choose big statement pieces and layer them together. Because, according to Lanvin, multiple florals are as chic as it gets! Although the last couple of posts were all about layering, this week we are taking a "less is more" kind of approach to accessorising. Taking cues from Hollywood's minimalists like Gwyneth Paltrow, we are focusing on the power of a great cocktail ring. 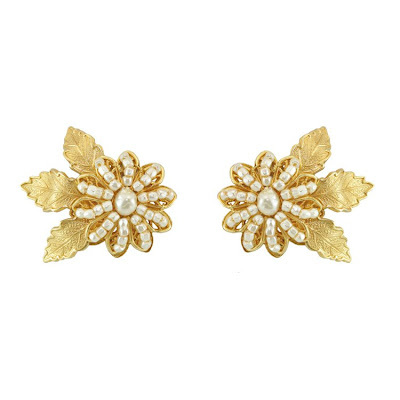 When there is a spectacular dress in play, the best way to accessorize is with a great cocktail ring or maybe great earrings (but that's another post altogether). 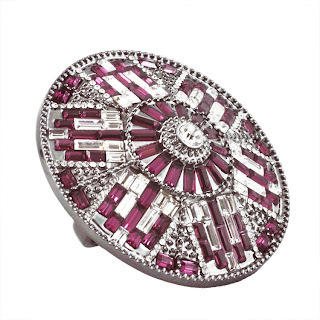 But the ring also has to be spectacular: large and flashy, enough to take notice all on its own. 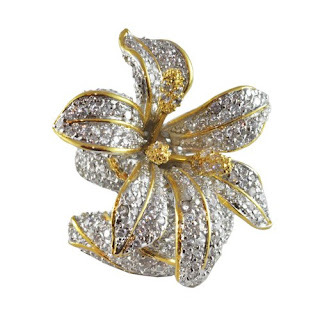 This Kenneth Jay Lane 'Discoball' reminds us of Gwyneth's giant Bavna diamond ring. So sculptural and sparkly, yet very modern and minimalist. Both of these florals bring a ladylike vintage feel. 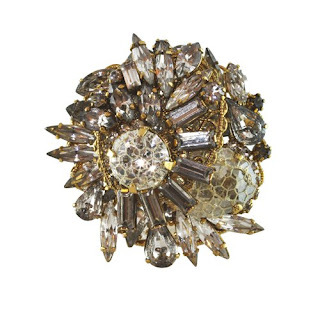 Aptly titled 'Gold Digger', Erickson Beamon's ring is one of the most intricate we've ever seen, while Noir's flower is just plain beautiful. We see these on really feminine and glamorous girls like Scarlett Johansson or Natalie Portman. CC Skye and Vita Fede borrow from the art deco era with these larger-than-life rings. The first one, of course, is a CC Skye signature (similar one was worn by Olivia Palermo a couple of years ago): so intricately made yet so powerful. 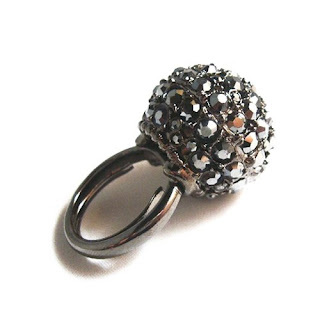 Vita Fede's 'Principe' ring is as glamorous as it gets. Inspired by Venice’s grand Hotel Principe, its focal point is a large beautiful white pearl surrounded by cascading crystals. Some serious dazzle. Here's to the power of a ring!